The 3rd AWARE IM Developers International Conference promises to be the best yet with an opportunity to get up close and personal with the new release of AWARE IM v8.1. Come and get a first-hand low down on how to get the best from v8.1s new features. Spreadsheet control, consume rest, new jasper, new tomcat, and more. Meet the Awaresome Vladimir and a host of other expert AWARE IM developers who will be sharing their knowledge and experience one on one. 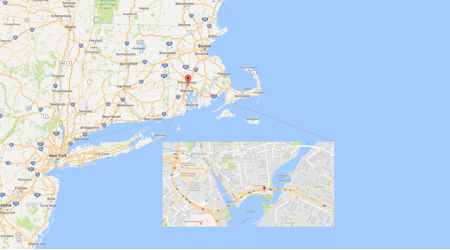 Back in the USA this year in the beautiful Providence Rhode Island, this year’s conference will give you the opportunity to also venture out and explore the region either before or after the conference. 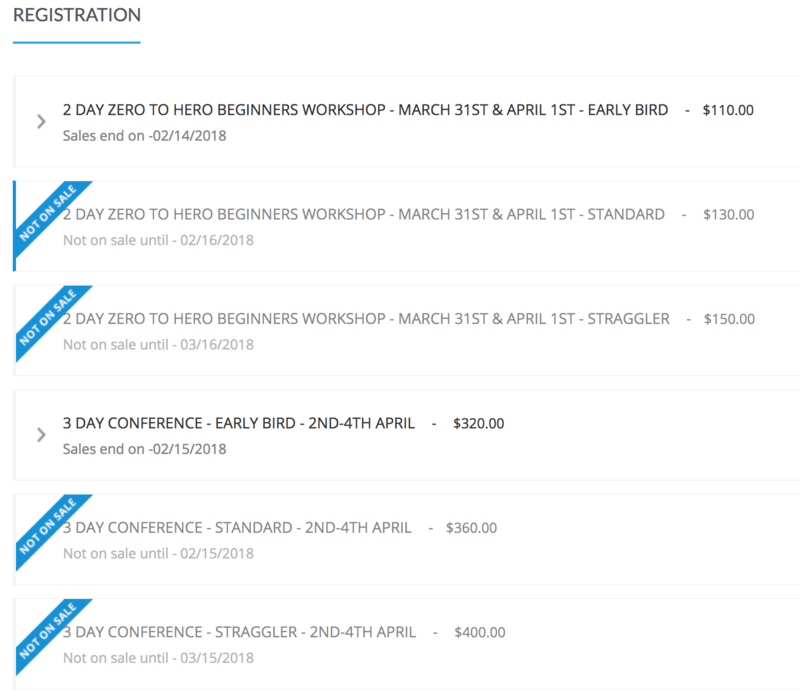 The Zero to Hero Beginners Workshop is entirely optional but is highly recommended for those new to AWARE IM. Join us on March 31st and April 1st. 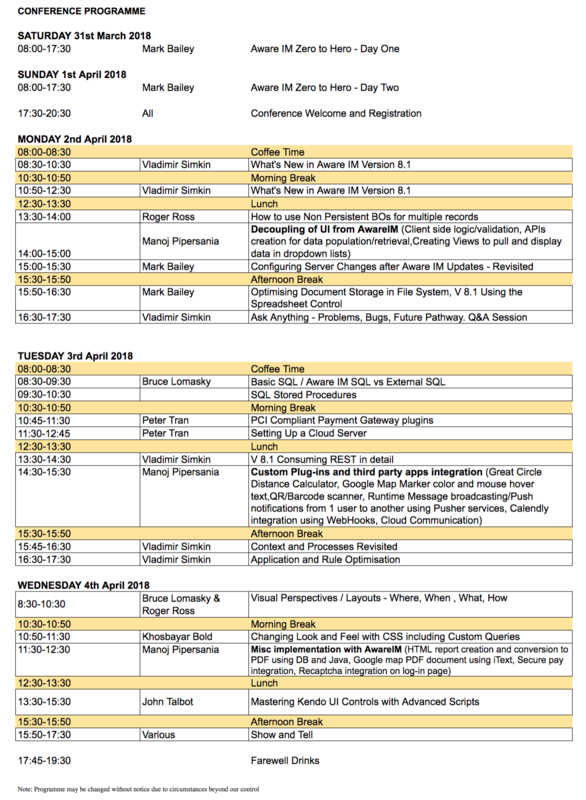 The conference proper starts Sunday night April 1st with welcome and drinks and then three days of AWARE IM intensity. April 2nd, 3rd and 4th. Mix and mingle with AWARE IM developers from all over the world. Build your AWARE IM network. Engage with other developers for your new project or to assist with your current project. This conference is the best AWARE IM smorgasbord you will ever get crammed into 3 days. booking, hotel has guaranteed maximum of $149 per night rate (excluding taxes, including breakfast) until early March. Cheaper rate could be possible via booking sites.